Gene Rain is ranked in the 1st percentile of games scored on OpenCritic. 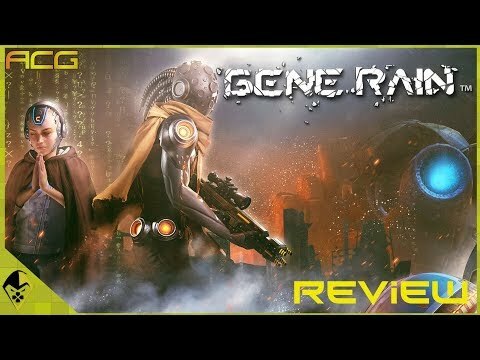 Gene Rain is a good attempt at a third person shooter from Chinese developers, Deeli Network. The game looks great for an indie title, with some high-quality textures, detailed character models, dynamic lighting, and a great use of particle effects. However, what lets the game down is its clunky controls, poorly translated and executed narrative, and the sub-par voice acting. I overcame the control issues by manually remapping my pad on the PS4, the script could be forgiven as it’s not their native language, and the voice acting was ambitious due to the fact all the actors are clearly Chinese. However, the story wasn’t explained clearly and it’s easy to forget what’s going on as you enter the next cover-based combat area. All in all not a bad game, especially for a first outing. A little rough around the edges, but still a game that's worth a try. Gene Rain is the typical game that looks great in the trailer but leaves you feeling dissatisfied and somewhat cheated after playing it. Gene Rain fails on may fronts. Controls are inaccurate. Translation is poor. Use of various gameplay mechanics if flawed. There is nothing that Gene Rain does good enough to score it some points. At least it's the best Chinese game I've played to date. In the end, it's really hard for me to recommend Deeli Network's game, especially at that price. It's got its share of basic QA issues (non-working controls were the worst) that can't be ignored, and it has an OK storyline and combat system. If your time with Gene Rain feels different from my experience, be sure to let us know in the comments below! If you want to play a third-person cover shooter, stick to the Gears of War series on Xbox or the Uncharted series on PS4 for now. All of their entries are cheaper than Gene Rain, and they all offer many times more fun. For me, this game was an incoherent mess. I struggled to follow things, which is a shame as I was looking forward to enjoying Gene Rain, but the game's meh gameplay mechanics, with unresponsive controllers, not to mention the convoluted story, those are things that got in the way and kept me from being able to enjoy my time with this one. I can't recommend the game in its current condition. It's difficult to recommend Gene Rain to anyone. The story makes no sense, and the game does a good job of maintaining that sense of confusion. The gameplay has no redeeming qualities whatsoever, and the presentation would be laughable even during the prior console generation. Not even Trophy hunters would be attracted to this title because the grind to obtain them is unbearable. Stay as far away as possible from Gene Rain. One of the worst games of the year 2018, and I've had the opportunity to try out a few expressly waste titles. 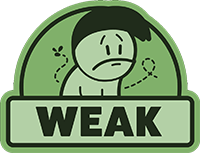 Gene Rain is one of those games that has the potential of having the "it's so bad, it's good" stamp on it, but actually playing the game is a frustrating chore that many will turn off after about 30 minutes. A poor attempt at a Gears of War clone that gets almost nothing right.